Marnie Scarlet is a unique multimedia artist. Marnie creates performance pieces, wearable art and fine art pieces. 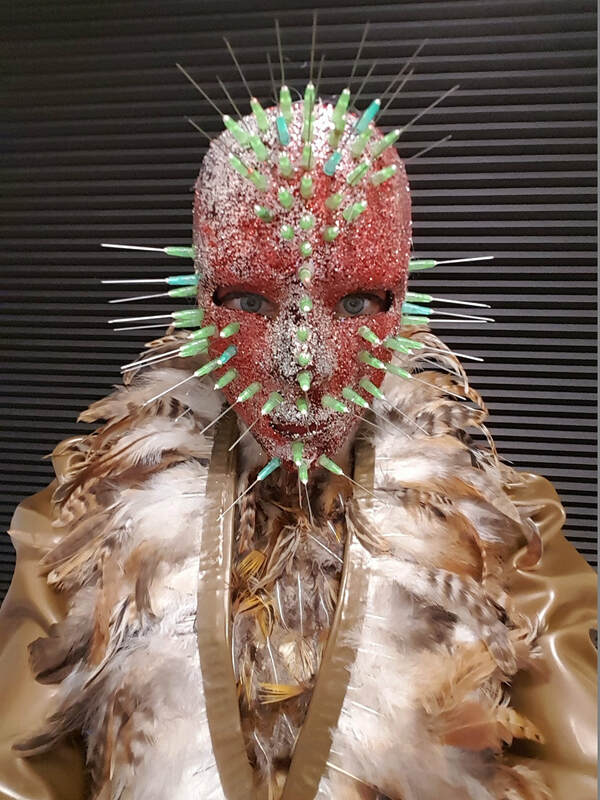 Her preferred media is latex, but often recycled items and fabrics will also be used in her work, Hypodermic needles, used make-up wipes as well as ringpulls from soda cans are part of her artworks. She has created iconic pieces such as Killer Heels, Face Dress and VagBall. ​She has also exhibited her self portraits in which she wears her creations, transforming herself into art. Marnie’s work is strongly influenced by feminism, surrealism, absurdism and popart. She has developed her own unique recognisable style in fine art as well as in performance art.